The bulls had some “yummy bucket” training today. 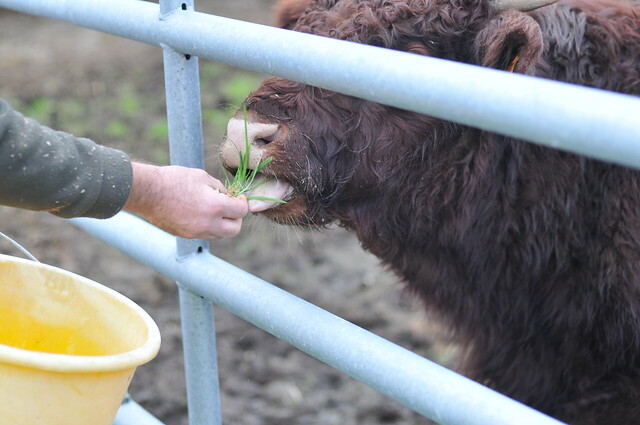 Not unlike a certain puppy, these bulls love yummy treats. 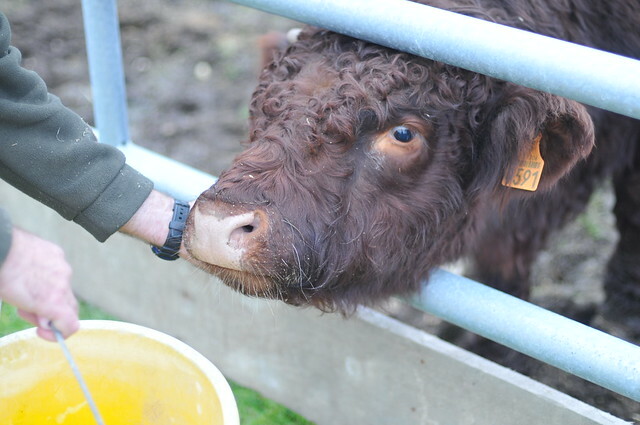 Brent works with them to get to know their temperament as well as their potential genetical offering. He looks at their form, their ability to thrive on grass, their general calm, their general humpy-ness. There is so much to balance when selecting your bulls. “Wookie” and “Richter” seem the best. 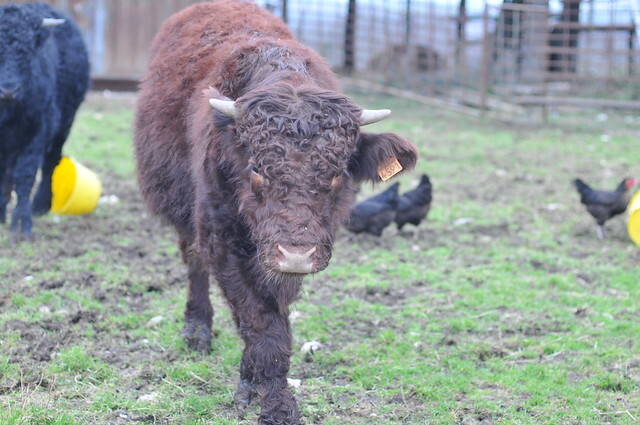 “Shaft” ( the one with the black fur ), is nice, but for our purposes and quality – yummy beef – he is too big. He will spend too much time growing bones and less time getting fat on grass. The chooks LOVE YummyBucket time. The bulls are patient with their antics. 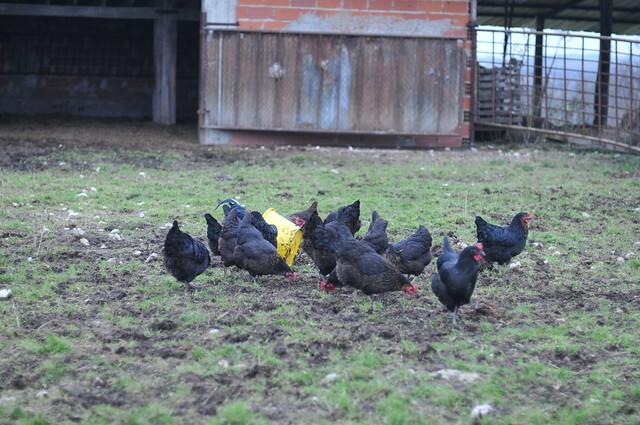 We ( I ) are working to get those chooks out of the cattle yard. Though, they have been laying well. OMG……they are all so cute! cute, but still bulls. Though they are calm and gentle. Thanks. So far, we like their temperament.